Welcome to my new site AntoniO365 where I'll share knowledge, information and experiences about all the Office 365 services I work with, including SharePoint, Exchange, CRM, Azure and Microsoft Flow. I'll share a little about my hobbies too, like oil painting, wine making and Texas BBQ. Antonio is an Associate Director and Senior Enterprise Architect with Protiviti. 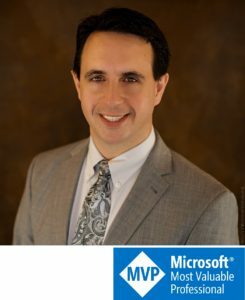 He is also a 6 time Microsoft MVP specializing in Office Server and Services. 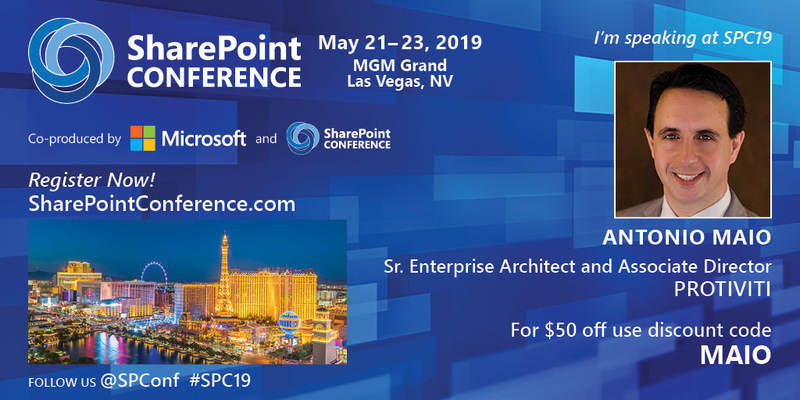 Just one more Las Vegas “commute” before shipping #SPC19. I work with Microsoft technologies like Office 365, the Enterprise Mobility and Security Suite (EM+S), SharePoint, Azure, Microsoft Flow and Hololens. I'm an Associate Director and Senior Enterprise Architect at Protiviti, focused on system architecture, large migrations, information security, governance and compliance. I like to build things and I like to help other people build things. I'm into oil painting, wine making and BBQ. I like to share my knowledge about my work and my hobbies with others, and I hope you'll find something here that's helpful.